Warning: this page might be out of date! As of July 2016, I'm a professor at North Carolina State University. I got my Ph.D. with the Principles of Programming group in the Computer Science Department at Carnegie Mellon University, advised by Karl Crary and Frank Pfenning. I graduated in September 2015 with my thesis Programming Interactive Worlds with Linear Logic. After that, I did a postdoc with the Expressive Intelligence Studio at UC Santa Cruz. I build executable formal models of interactive and playful systems. I use formal methods such as proof theory to build better programming languages and analysis tools for game design, storytelling, computational creativity, and generative methods. More specifically, my interests and past research include tools like logic programming, logical frameworks, dependent type systems, algebraic and categorical methods, and functional programming, applied to endeavors like interactive fiction authoring, story generation, game design sketching, AI for social simulation, game mechanic and level generation, dialogue modeling, music and recipe generation, and multi-agent systems. I keep a blog about my research and experiences in academia. My thesis project contains a programming language designing generative narratives and game mechanics called Ceptre. The language is based on forward-chaining linear logic programming, a declaratve way to describe state change and user interactions. "Ceptre: A Language for Modeling Generative Interactive Systems." In proceedings of Artificial Intelligence and Interactive Digital Entertainment 2015. Chris Martens, Joao F. Ferreira, Anne-Gwenn Bosser, and Marc Cavazza. "Generative Story Worlds as Linear Logic Programs." Intelligent Narrative Technologies 7, 2014. Chris Martens, Anne-Gwenn Bosser, Joao F. Ferreira, and Marc Cavazza. "Linear Logic Programming for Narrative Generation." In proceedings of Logic Programming and Nonmonotonic Reasoning, 2013. Chris Martens and Karl Crary. "LF in LF: Mechanizing the Metatheory of LF in Twelf." Logical Frameworks and Metalanguages: Theory and Practice, 2012. Charles Cusack, Chris Martens, and Priyanshu Mutreja. "Volunteer Computing Using Casual Games." In proceedings of Future Play International Conference on the Future of Game Design and Technology, 2006. Ulas Bardak, Eugene Fink, Chris R Martens, Jamie Carbonell. "Scheduling with Uncertain Resources Part 3: Elicitation of Additional Data." In Proceedings of the IEEE International Conference on Systems, Man, and Cybernetics, 2006. 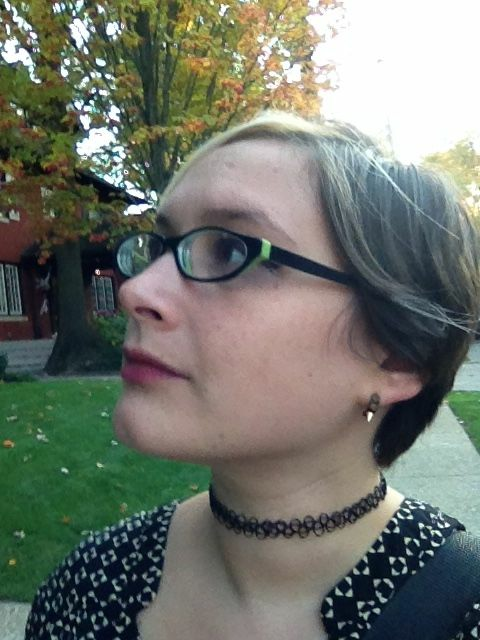 Invited Talk: "Proofs as Stories," delivered at the UConn Logic Seminar, October 16, 2015. Slides! Invited Talk: "Ceptre: A Language for Modeling Interactive Worlds." Future Programming Workshop at Strange Loop 2015. "Creating and Analyzing Playable Narratives with Linear Logic," delivered at the CMU Graphics Lab Seminar, April 2015. Slides! "Linear Logic Programming," delivered at Strange Loop 2013. Banyan, a distributed computation framework for recursive programs. For 15-712 Advanced & Distributed Operating Systems. In Fall 2011 I TAed 15-210 Parallel and Sequential Data Structures and Algorithms. In Fall 2010 TAed 15-317 Constructive Logic. I maintain a list of programming languages (co)created by women. Please let me know if you have information to add to this list! I maintain a mailing list for Computational Narrative researchers. I maintain a mailing list for underrepresented groups in Programming Languages research. Here are my games, mainly interactive fiction. Here are some older comics, including a few travelogues. I occasionally make music with synthesizers, guitars, and vocal chords. I seem to be unusual in admitting that I really like Twitter.